In return for strong commitment to client service and our values, we offer exceptional candidates the chance to work flexible hours from their own homes, or from an office close by. 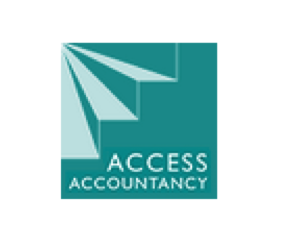 We are not currently recruiting but we do offer a limited number of Access Accountancy work experience placements. We use cloud-based, paperless systems. We use screen sharing and phone to keep in touch on a daily basis. Our strong values, culture and review procedures mean that staff feel part of a strong team, even whilst working remotely. All staff have a personal development plan which is subject to regular review. you will qualify for the scheme. Please see this poster and send us your details. You won’t need transport and it doesn’t matter where you live, because we work online and can support you while you work from home or a quiet place nearby. Although we are not able to offer work experience at present, we will always try and send some feedback on your CV if you would like to send it to us. We recruit on merit and potential regardless of background. We always consider applications from those with a disability. We may give a preference to candidates who are based near to our head office in North Yorkshire. Please send your CV to hello@approachableaccountants.co.uk and we will tell you about current vacancies or keep your details for future reference. Please tell us if you have any special requirements or if you would like to be considered under the two ticks scheme.